Snowball fights are inevitable with kids, right? It’s one of the best parts of childhood! 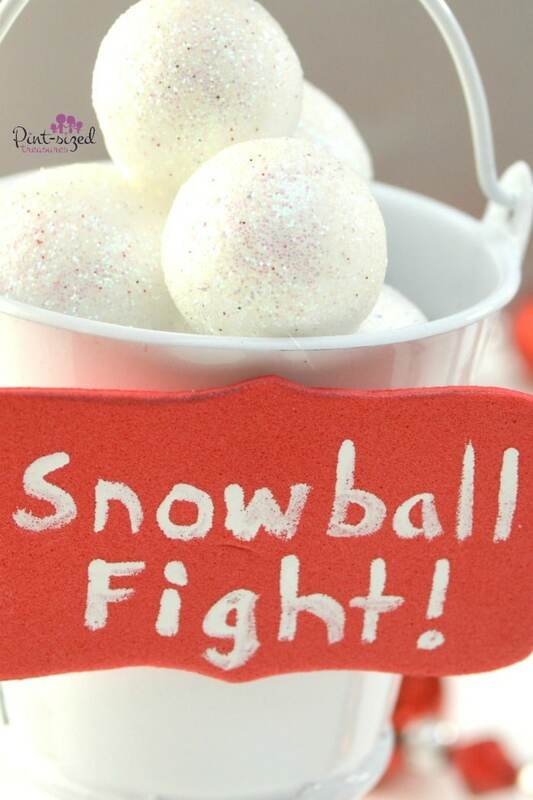 Why not wrap those warm and fuzzy (or rather freezing cold and slushy) memories into an easy, DIY snowball fight Christmas ornament that even the kids can make — with adult supervision, of course! Busy moms can even find a few minutes to create these cute ornaments! Our first Christmas tree as a family was decorated with homemade, salt dough ornaments. The Christmas tree wasn’t fancy, but it was special to us because we had made every single ornament. Last year we hung store-bought ornaments and homemade ornaments. It was a pretty blend of fancy and homemade with love. And guess what? The homemade ornaments tend to last the longest! Even years later our kids still remember every Christmas tree ornament we’ve ever made. They remember who made it with them and how much fun we all had creating something cute for the tree — our Christmas tree. And we love unique Christmas ornaments. Some DIY Christmas tree ornaments are a dime a dozen. They’re totally different than our salt dough ornaments several years ago. And each person can write their own snowball message on each ornament! Here comes a fast one! Let it snow so we can fight! Let the snowball fight games begin! These DIY Christmas ornaments definitely look much harder to make than they actually are! No baking is required — whoop, whoop! I’m busy enough baking cookies and Christmas treats –can I get a busy mom witness? 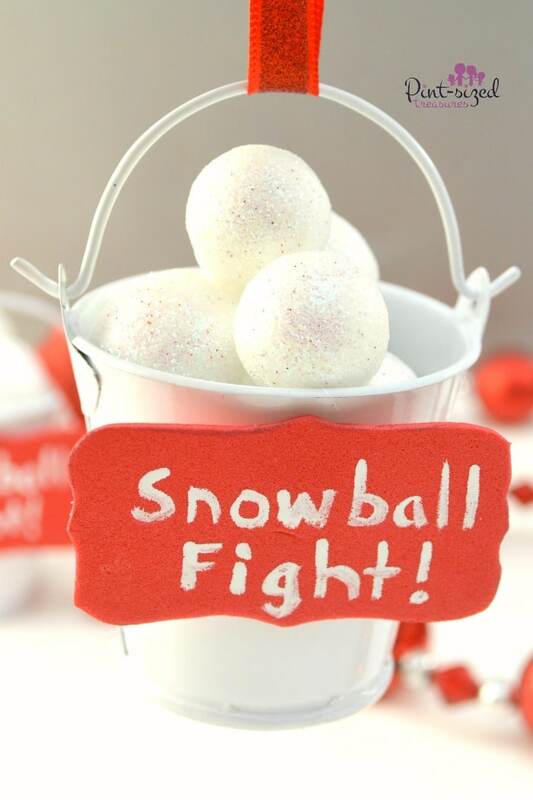 Speaking of cookies — you can make these snowball cookies to go right alone with your snowball fight theme! Psst! You can make them a few days ahead so you don’t have ANY baking to do on your crafting day! <3 Grab your supplies and get ready to make the MOST fun Christmas ornament ever. When you're done, celebrate wiht a snowball fight!! Begin by cutting a piece of red craft foam into a rectangle or other similar sign shape. 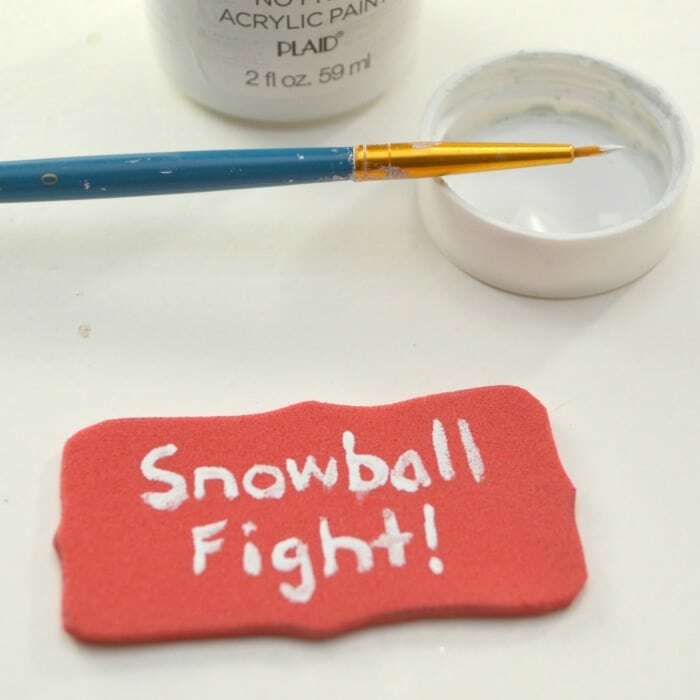 Use a fine tipped paintbrush to paint the words “Snowball Fight” or another message on your red craft foam sign in white. 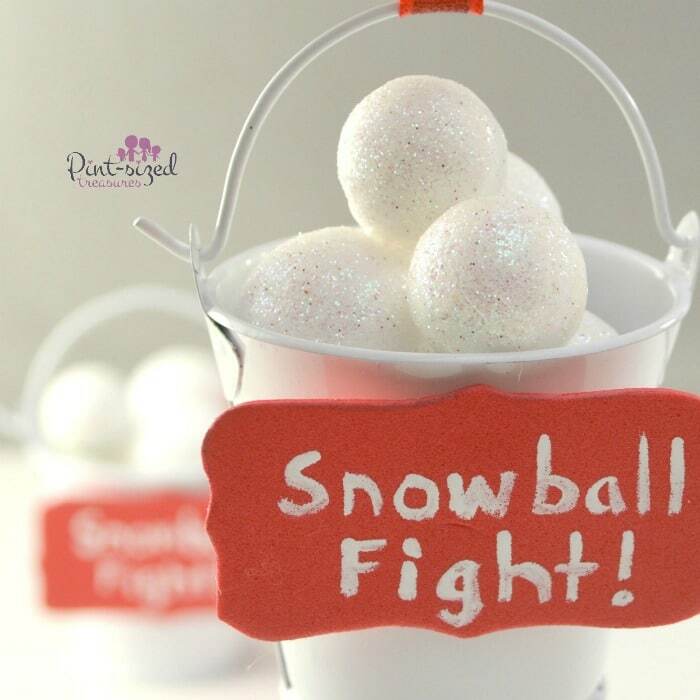 Fill a small white wedding party favor pail with white glittery craft foam balls. Alternatively, you can use cotton balls if you like. 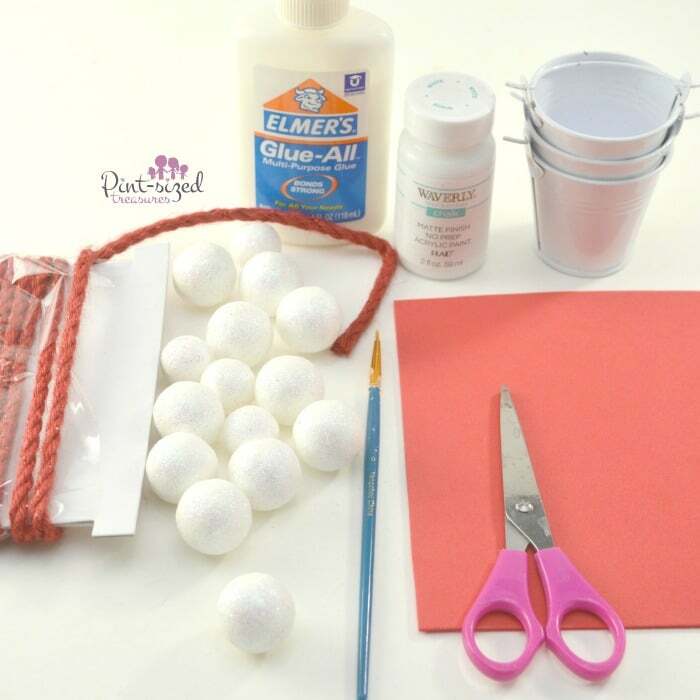 Use craft glue to make sure the foam balls stay in place. Once the paint has dried on your foam sign, glue it to the front of the snowball filled pail. Tie a loop of ribbon around the handle of the pail to hang your ornament from. *Affiliate links have been added to help you create your Christmas ornaments!